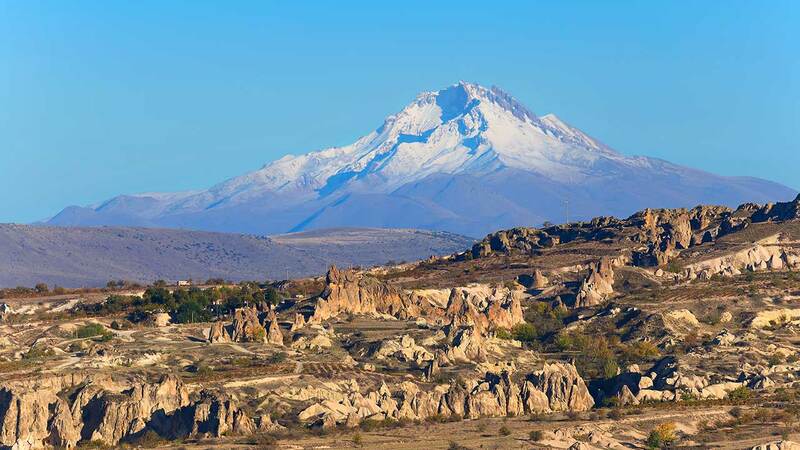 This tour is a combination of the Private Classical Cappadocia Tour and Kaymakli Underground City which will enable you to have a thorough understanding of the region; you will see the past and present of Cappadocia in the natural and historical museums and age-old arts, all the while enjoying the unrivaled scenery. 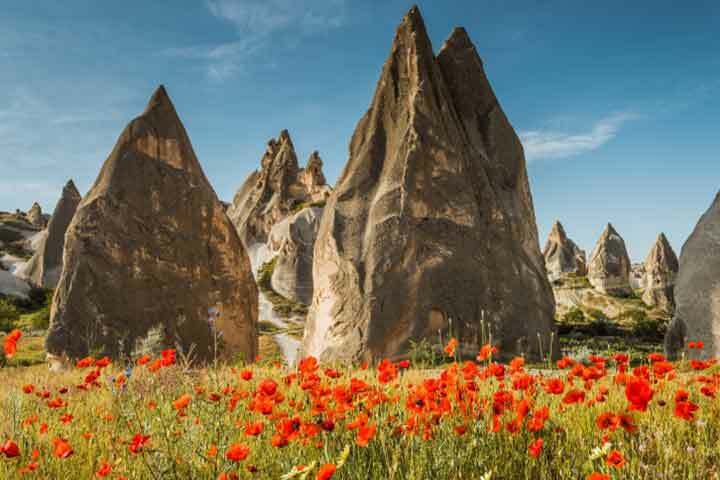 Goreme Open Air Museum (UNESCO World Heritage-1985) is the prime highlight of the day with the best examples of Byzantine frescoes and paintings in rock-cut churches. You will visit the Elmali Church (Church with Apple), St. Barbara Church, Yilanli Church (Serpent Church), Carikli Church (Church with Sandals) and the best: The Dark Church from the 11th century which is the ultimate example of the limitless beauty and fascinating detail in Christian art. The church had undergone years of extensive restoration before it was opened to the public. 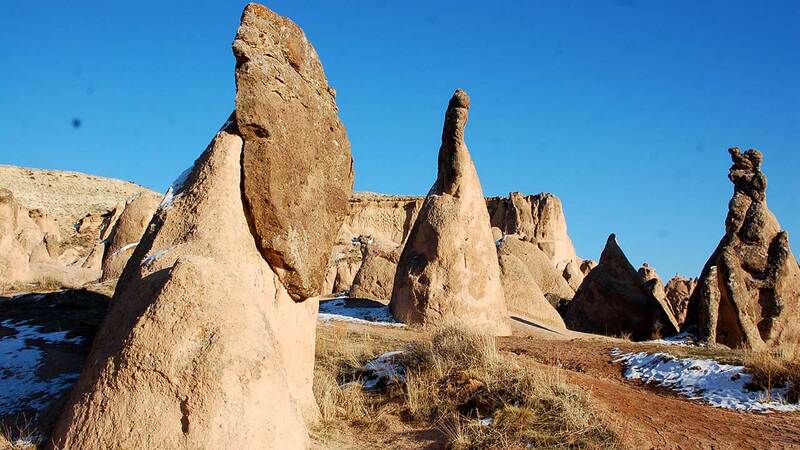 Pigeon Valley is named for the numerous pigeon houses carved into the rocks to collect their droppings and use as fertilizer. 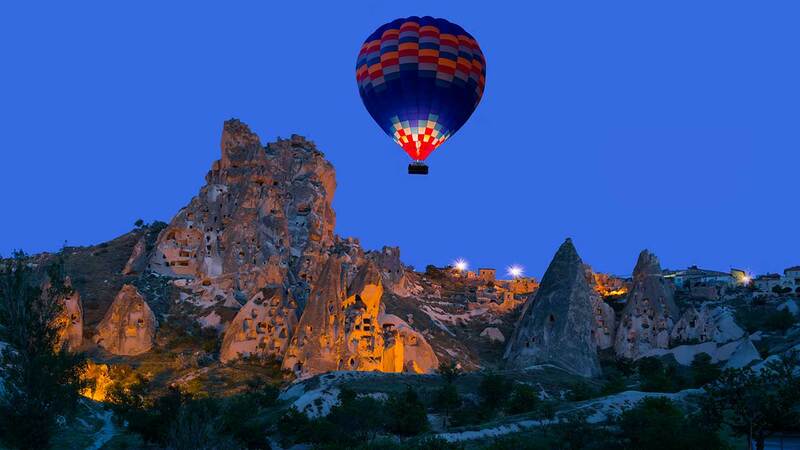 It is situated between Goreme and Uchisar towns and gives an excellent view of the castle settlement area. Pasabag Valley the is one of the main tourist attractions of the day that will give you time to enjoy the striking scenery of columnar formations with two or three rock caps and take exceptional pictures. 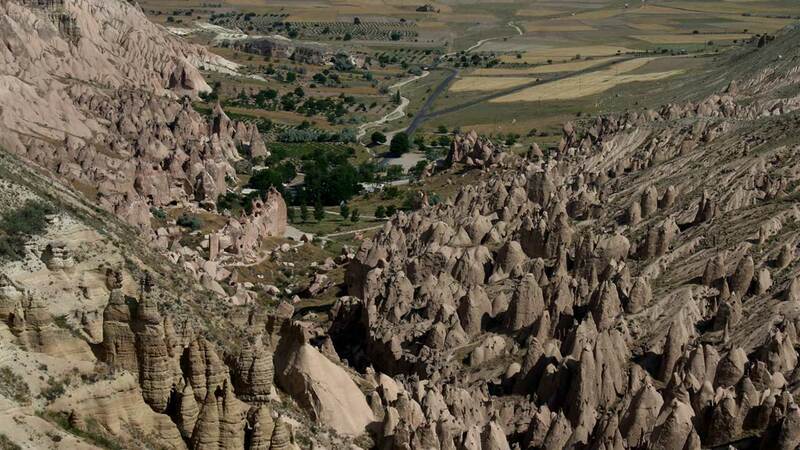 The place is also called the Monk's Valley referring to the hermits of Cappadocia, the most famous one being St. Simeon (Simon). 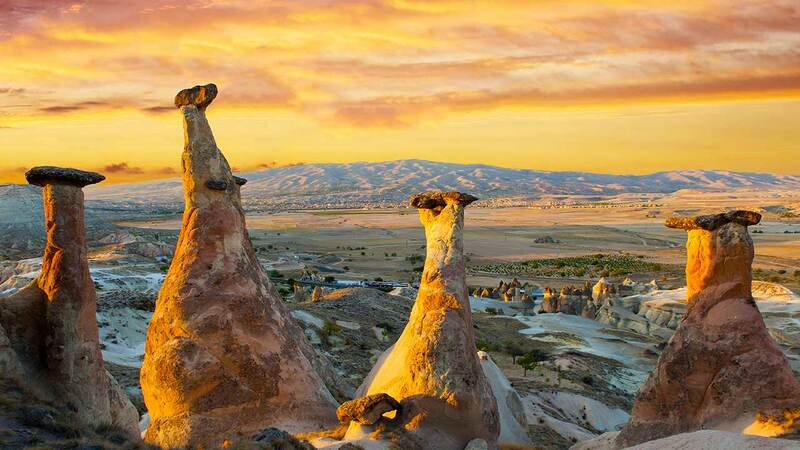 Some fairy chimneys here are in different stages of formation revealing the details of nature's incredible work. 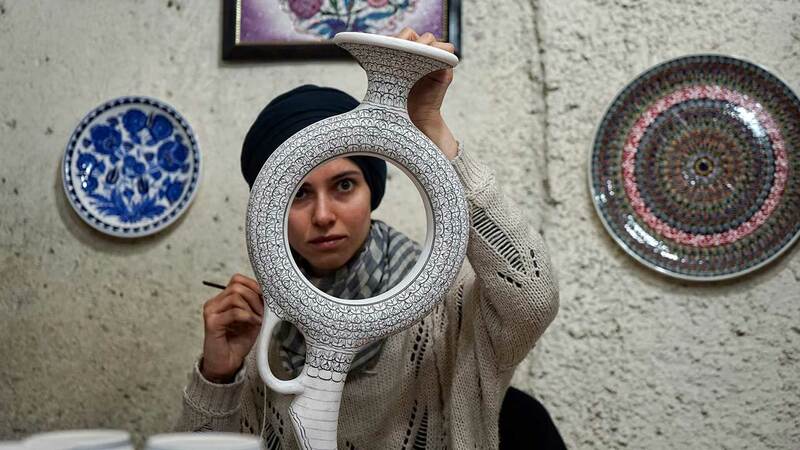 Avanos is a well-known town with its pottery created dexterously in the old and modern workshops where red clay is obtained from the banks of the Red River (Halys). 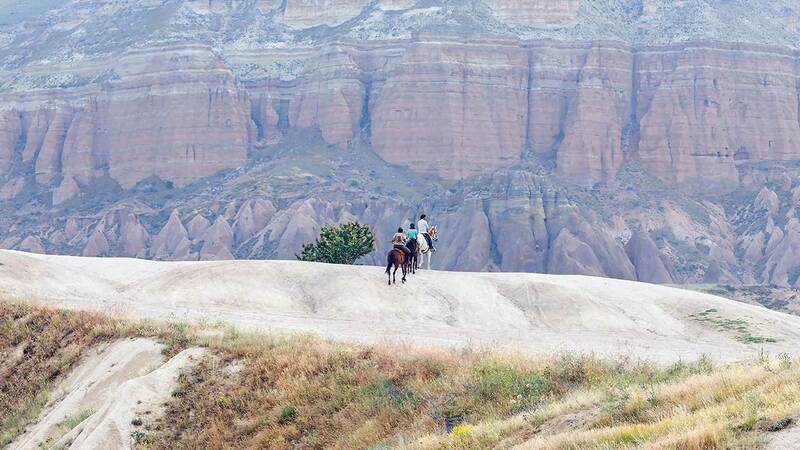 In Turkish Kizilirmak, the longest complete river in Turkey (1355 km), makes broad winds as it runs from Central Eastern Anatolia to the Black Sea depositing the red soil at its banks that has been used since the Hittite Age. After the demonstration by a master, you will have chances to try pottery yourself on the potter's wheel to enjoy your time. Kaymakli Underground City is an amazing subterranean structure entirely carved out of volcanic rock, the beginning of which is uncertain but thought to have existed in the Hittite Age. It was used by the Christians in the 2nd and 3rd centuries during the Roman persecution and later in 8th to 10th centuries when Muslim Arab raiders were disturbing the area. 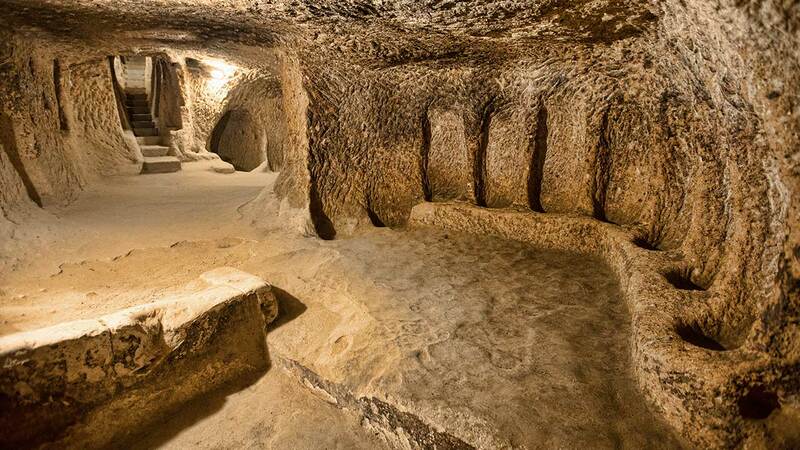 It is one of the many underground cities in the region that would provide shelter in troubled times and additionally was a perfect storage area with its almost stable temperature throughout the year. A 10 km tunnel connects the city to the next one, Derinkuyu, probably many of them had such connections to other cities as getaway tunnels. Inside, you will be surprised to see how it had been made possible to live for long periods, weeks or months maybe, by means of air shafts, deep wells, barns, storage and cooking areas, personal quarters, and churches.